Officer Brent Kieffer with K-9 Sabor is on the left, and Officer John Jones with K-9 Koda is on the right. A police dog’s job is to protect and serve, and police forces in many Colorado communities use police dogs to track criminals, sniff out illegal materials, search buildings, and do other jobs human police officers can’t do as well as a dog can. Their use in law enforcement goes back to the early 1900s, and continues to become widespread in many communities. To learn more about police dogs in my own community, I spoke with Joe Hanson, a member of the Friends of Littleton K-9. Zoey: What is the Friends of Littleton K-9? Joe: The Friends of Littleton K-9 was formed as a sub-committee of the Littleton Police Citizens Academy Alumni Association. The purpose of the Friends of Littleton K-9 is to provide monetary support to the Littleton Police Department’s K-9 Unit through community fund raising, and to promote community awareness of the K-9 Unit’s crucial role in law enforcement. Zoey: Tell me about the Littleton Police Department’s police dogs. Joe: There are two. K-9 Sabor, a purebred Belgian Malinois, and K-9 Koda, a half Belgian Malinois, half German Shepherd. A police canine has a working life of 8-12 years, depending on the breed. K-9 Sabor is celebrating his sixth anniversary on active patrol, and we realize that his replacement is not that far in the future. One of our long-term goals it to include maintaining sufficient funds to replace a K-9 dog when the need arises. Zoey: What is the role of K-9 Sabor and K-9 Koda in providing safety for their officers and their community? Joe: Due to the canine’s superior sense of smell, hearing and physical capabilities, a trained law enforcement canine is a valuable asset for a police department to use in order to assist in providing a safe environment for the citizens of the community. A canine team can search quickly and effectively, resulting in increased officer safety and the apprehension of suspects. The proper use of a canine unit has been shown to reduce the number of officer involved shootings as it provides a non-lethal aid for the department. The police canine is the only weapon that can be recalled after being deployed and is also the only police weapon that cannot be used against the officer. On the rare occasion that an armed suspect chooses to confront law enforcement, a K-9 officer willingly responds to the attack and may ultimately sacrifice their lives to save the human officer. Zoey: What is the cost of a police service dog? Joe: Although the cost of service dogs can vary widely, an average of $7,500 for a dual purpose canine is realistic. For Littleton Police, dual purpose means training for apprehension and drug detection. 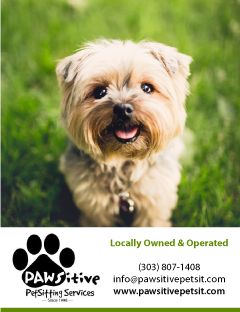 To obtain the best pricing and maximize the funds available, Littleton Police has sourced their canines through a well-known K-9 officer working for Denver Police. He deals directly with European breeders, long known as producing the best candidates for law enforcement work. Our K-9 Koda was the third canine evaluated for the job, and was purchased for $6,800. Zoey: What are some of the factors involved to support an active police dog, and how does the Friends of Littleton K-9 help? Joe: There are many factors involved, including the usual costs associated with maintenance of any animal, namely food, veterinary care and housing. Currently the Department covers the costs of all food and vet services, while the Friends of Littleton K-9 donate equipment for training such as, leashes, collars, harnesses and tug toys, items which can exceed $1,000 yearly. A major cost unseen by the public is the extensive training each K-9 unit must undergo to become certified for law enforcement. Once certified, both the K-9 and the handler train weekly with the goal of continuous improvement and refinement of skills. 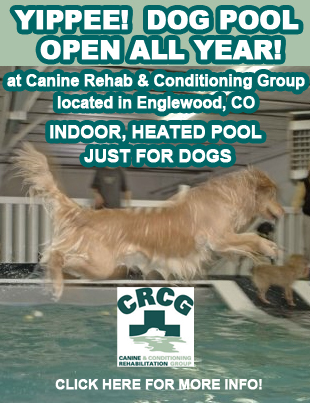 As training becomes more intensive and specialized, out of state travel may be required and the Friends of Littleton K-9 will be as supportive as circumstances allow. Zoey: Aside from the equipment donated, how else has the Friends of Littleton K-9 assisted? Joe: The Friends of Littleton K-9 have purchased materials for the construction of distinctive housing for each canine, known as a “K-9 Kastle”. The “K-9 Kastle” is located at the handler’s residence and provides the canine with a secure, year-round “apartment” complete with a summer time cooling fan and a heater for winter conditions. An opening leads to an attached kennel enclosing a spacious patio, which allows the canine a degree of outdoor freedom. The accommodations are fully appropriate for maintaining peak performance of a highly trained police dog. The structure normally would cost approximately $4,500, but the Friends of Littleton K-9 utilized volunteer labor for construction of K-9 Sabor’s “Kastle”, which enabled us to build a second one for K-9 Koda – in essence, two “Kastles” for the price of one! The “christening” of K-9 Koda’s newly built “Kastle” at the residence of Officer John Jones. Officer Jones is on the left, Officer Brent Kieffer is on the right, and K-9 Koda sits in his new home looking at his “Dad”. Zoey: You mentioned training earlier. 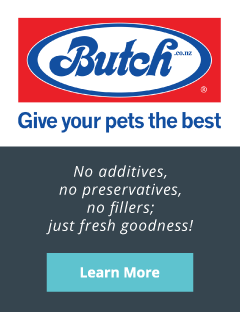 Who is in charge of the training for the dogs? Joe: All training is currently performed in-house by the handlers, and supervised by Officer Brent Kieffer. Officer Kieffer is a certified K-9 trainer with TacDogs, a Denver-area based company specializing in K-9 law enforcement training. The foundation of their training is based on positive reinforcement rather than a negative based discipline. Zoey: Many police dogs have been fitted with bulletproof vests. How about K-9 Sabor and K-9 Koda? Joe: Securing specialized protective armored vests are among our mid-term goals. As K-9 Sabor begins training with the LPD SWAT team, he will be protected by an advanced Kevlar based vest providing Threat Level II ballistics protection. This top of the line vest costs $2,500 and is consistent with protection worn by all members of the SWAT team. Zoey: Are there plans to add more dogs to the program? Joe: With the recent addition of K-9 Koda; the Littleton Police Department will continue with the current two teams for the foreseeable future. However, as the Friends of Littleton K-9 continues to gain support from the community and grow financially, the addition of two more K-9 teams would be entirely reasonable. A total of four K-9 teams would provide nearly around the clock coverage for the city and reduce the scheduling conflicts during vacations and training. Zoey: How does Friends of Littleton K-9 raise money and how can the community help? 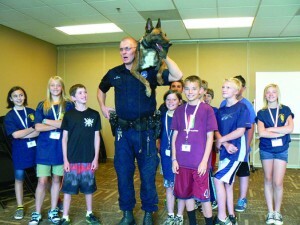 Taken at the Junior Police Academy held at Mission Hills Church in June 2014. The photo illustrates Officer Brent Kieffer and K-9 Sabor demonstrating advanced training technique utilized when K-9 must be placed in an overhead search area such as an attic. Note that the Officer’s right hand is on K-9 Sabor’s back leg as it rests on the duty belt, an example of the high level of trust the canine has in the handler. Joe: Funds raised to date by the Friends of Littleton K-9 consist almost entirely of individual donations. We have participated in several local events and raised money through sales of t-shirts and ball caps, with plans of adding additional merchandise in the future. Zoey: Is there anything you would like to add in closing? Joe: The Littleton Police Department K-9 program is a vital component of their fight against crime in our community – a community with a reputation as a safe and secure place to work, live and play. I believe that most of our residents are either unaware of the K-9 program, or don’t fully appreciate the value of these dogs and their handlers. According to the 2010 census, there are over 17,000 households within the city limits of Littleton. If only 10% of those households donated just $5 a year to the Friends of Littleton K-9, we could provide the level of support the program richly deserves!For additional information about Friends of Littleton K-9, please visit their Facebook page, “Friends of Littleton K-9”. Zoey Says… Police dogs ROCK, and they’re working in cities and towns all over the world. Your town may have one too, and an easy way to find out is to check your police department’s website.